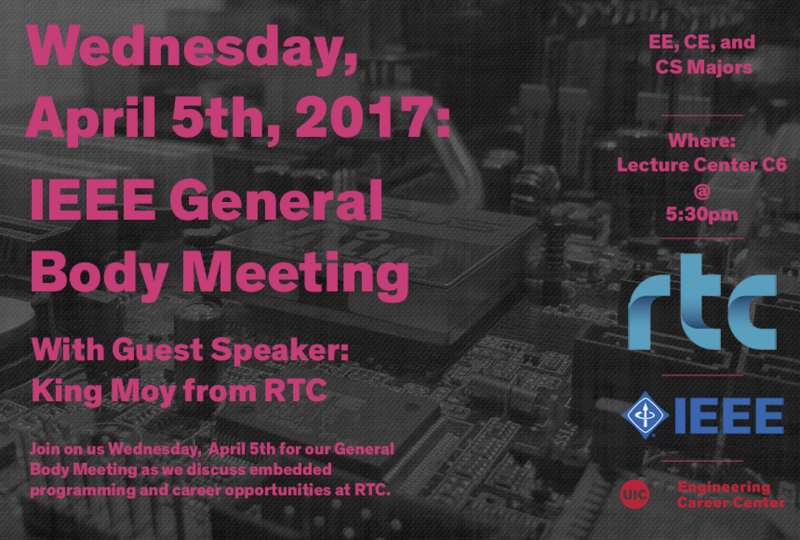 Welcome to IEEE at UIC! Our current Robotics Team Captain - Andrzej Ws�ł - is hosting regular meetings starting at 4pm in our office (RRB 113). Everyone is welcome to come by even if you just want to observe.